GRAND RAPIDS — The boys already are out on the ice. The fishing holes are drilled. The shelters are up. Logan Nelson is 13. His brother, Jake, is 11. They know the routine. Hunting, trapping, fishing, goose-calling — these boys are all over it. They have been doing most of this “since they could breathe,” says their dad, Roger Nelson of Cohasset. To read the rest of the article on duluthnewstribune.com click here. Like a lot of football players, Courtney Taylor is waiting for the phone to ring because, at the moment, he’s a man without a team. 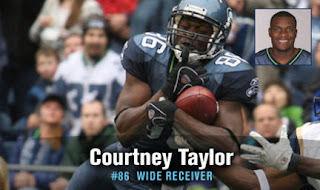 Auburn’s all-time leading receiver was one of the last players cut by the Seattle Seahawks on the eve of the 2009 season, and he didn’t catch on with any other organization during the season. In early February, Sandpoint resident Peter Faletto was saddened to hear of the death of one of his greatest heroes, Jimmie Heuga. Huega was a man who influenced Faletto in both his personal and professional life, and it is Heuga who Faletto will honor March 13 by raising funds in his memory and donating them to a cause to which Heuga devoted his life. If you live with a disability or love someone who does, DisabledDiscounts.com may help you discover discounts on thousands of services and products, saving cash and time. Read the rest of this helpful article here on courant.com. Jennifer Osman embraces what most of us rebuff. "Routine. I definitely appreciate the normalcy of my life," she said. On April 1, Jennifer will celebrate a new chance at life. That day marks the close of a five-year clinical trial to treat the chronic disease that brought her to death's door. To read the rest of the article on southtownstar.com click here. 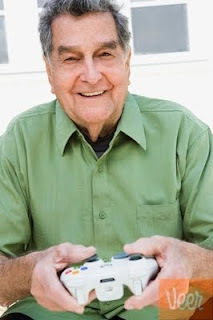 Playing Nintendo's Wii improved motor function in patients who had suffered a stroke, without causing any safety concerns,a small, proof-of-principle study showed. symptoms and numbness in his limbs. When he developed severe nerve damage,he ditched the injections. " My body just couldn't handle it," recalls Bullock , now 41. To read the rest of the article on businessweek.com click here. The Rocky Mountain MS Center sends out free bi-weekly newsletters to your e-mail just by signing up. The latest e-newsletter has info on CCSVI, acupuncture, and several different clinical trials. To read on their site click here. To sign up for their e-newsletters click here. Trouble walking is one of the biggest challenges faced by people with the neurological disease multiple sclerosis. The Food and Drug Administration recently approved an oral medication to help people improve their walking speed - an encouraging development in the MS community. To read the rest of the article and see the video on abclocal.go.com click here. Ask Thomas Beasley where he lives, and he really can't give a good answer. Originally from Anaheim, California, Beasley has spent almost two decades --for an average length of 10 months per year--atop his bicycle, cycling from one end of the country to the other to raise money and awareness for multiple sclerosis. Despite being his 58th trip across the U.S., this is only his second time through Macon. This visit is about 17 years after his first trip to Macon. Beasley, 41, began his peripatetic journey 19 years, one month and 23 days ago as a tribute to a friend named John Toodle. 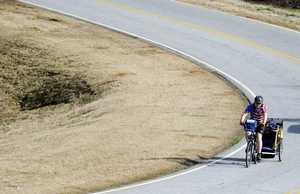 In 1989, Beasley was training for the Tour de France , biking across America as part of his preparations. To read the rest of the article on macon.com click here. The advent of low cost and near-instantaneous communication on the internet has spawned a number of popular social media websites such as Facebook,Myspace and Twitter. These sites provide an informal international forum for people to share personal and professional information. Popular topics range from golf and wine to the more esoteric, such as railroads and medieval history. Physicians can discuss medical news, challenging clinical cases,business management and even market their practices. 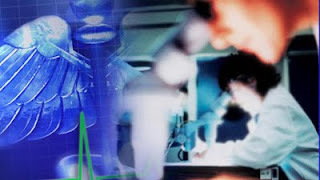 To read the rest of the article on boards.medscape.com click here. The National Multiple Sclerosis Society has released a video featuring the noted neurologist Dr. Patricia Coyle, answering questions on Ampyra, a recently approved drug that's meant to increase the mobility of MS patients by increasing the conductivity of damaged nerve cells. Click here to read the rest of the article and see the video on wheelchairkamikaze.com. After the unveiling of a 500 page national report on housing opportunities for disabled Americans Tuesday , Harvey Raben stood,leaning on his walker to fight the effects of Multiple Sclerosis, and asked a pointed question.
" The heart of the housing question for disabled people is: Will there be more vouchers open so more people can get decent housing?" Lynn Grosso, of the U.S. Department of Housing and Urban Development, answered: " The need far outweighs the availability." It is well known that certain visual cues in the walking path can improve walking for movement disorder patients. A study performed with a augmented reality device is the first look at the significance of the visual cue chosen. Visual feedback has been found in numerous studies to improve the walking abilities of patients with Parkinson's disease, Multiple Sclerosis, Stroke and Senile Gait. While early studies used equally spaced transverse lines drawn on the ground, later reports noted that other visual patterns , such as checkerboard-like tile arrangement, also brings improvements. Read the rest of the article here on prweb.com. A push to allow for medical marijuana has passed a State Senate committee in hopes that the issue will come to the floor for a full Senate vote this session. But there are serious concerns among law enforcement that the need for weed could spark new public safety problems. Michael Kessler of Elmira broke his back in 6 places , then burned 90% of his body. Timothy Cerrone of Amsterdam has multiple sclerosis, and needs injections to be able to see. Read the rest of the article here on wten.com. In some ways , each person with multiple sclerosis lives with a different illness. Although nerve damage is always involved, the pattern is unique for each individual who has MS. Although individual experiences with MS vary widely, physicians and researchers have identified several major types of MS. The categories are important. That's because they help predict disease severity - and response to treatment. Read the rest of the article here on webmd.com. Heather Fargo did not have the luxury of easing reflectively into life as a private citizen. 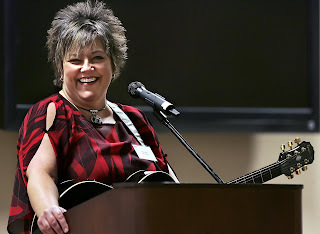 Just a few weeks after she packed her office at City Hall in November 2008, ending nearly two decades of service as a councilwoman and mayor, Fargo learned she had breast cancer. 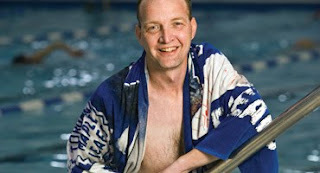 To read the rest of this inspiring article which includes Heather Fargo's MS struggles on sacbee.com click here. Adeona Pharmaceuticals, Inc. announced today that the clinical trial of it's investigational drug Trimesta (TM) ( estriol oral) being conducted by principal investigator Dr. Rhonda Voskuhl ( Director UCLA Dept. of Neurology) has enrolled over 75 patients. The total planned enrollment is 150 patients. The Trimesta (TM) study is a double-blind, placebo-controlled clinical trial. Sixteen sites in the United States are currently enrolling patients. Investigators at these clinical sites are administering either Trimesta (TM) along with glatimer acetate (Copaxone) , to women between the ages of 18 to 50 who have been recently diagnosed with relapsing-remitting multiple sclerosis. Read the rest of the article here on marketwatch.com. In massage therapy, the tendency is to focus on the role of muscles in pain or injury,sometimes to the exclusion of other soft tissues. Nerves are one of these often forgotten tissues, yet they play a critical role in many pain complaints. Neglecting these tissues can lead to inadequate treatment and the development of chronic pain conditions. With all the work we perform on soft tissues throughout the body, the absence of knowledge of nerve-tissue disorders is serious. Read the rest of the article here on massagetoday.com. (AP) — KINGMAN, Ariz. - Leanna Long says she told her story of pain pill addiction because she didn't want to hide from it anymore. "At first I said no," the 27-year-old mother of two said. "This was the most humiliating, humbling experience of my life and you want me to share that on television?" Novartis International AG/ Novartis oral multiple sclerosis development compound Gilenya (FTY720) granted US priority review status processed and transmitted by Hugin AS. The isuer is solely responsible for the content of this announcement. To read the rest of the article on pr-inside.com click here. Individuals who find joy, excitement and contentment in their daily lives may be protected from cardiovascular disease, researchers found. Higher levels of positive affect, a measure of happiness, were associated with a significantly lower risk of having a cardiovascular event over a 10-year period according to Karina Davidson, PhD, of Columbia University Medical Center in New York City, and colleagues. Read the rest of the article here on medpagetoday.com. Women with physician-diagnosed migraine appear to have an increased risk of developing multiple sclerosis (MS), researchers found. Among female nurses,the rate of migraine was higher among those who were eventually diagnosed with multiple sclerosis than in the overall cohort (21.9% versus 15%) according to Illya Kister, MD , of NYU Langone Medical Center. More than half of the multiple sclerosis patients in a closely watched study had narrowing of some neck veins leading from the brain, researchers said. On the other hand,so did 22.4% of healthy controls in the first large study to test a new theory about the disease: that is caused by such abnormally narrowed veins , a condition dubbed "chronic cerebrospinal venous insufficiency". The MS Society is calling on the government to scrap the scheme which offers disease- modifying drugs to some people with multiple sclerosis. Since 2002, the scheme has enabled the NHS to prescribe the drugs while their cost- effectiveness was evaluated. But the charity argues the study is flawed, and fears the scheme is hindering access to other therapies. The government insists the scheme has significantly improved the overall care and support available to MS patients. To read the rest of the article on news.bbc.co.uk click here. A team in New York has reported the first results of a trial to test the theory that restricted blood flow in the brain may underlie some of the symptoms of multiple sclerosis. 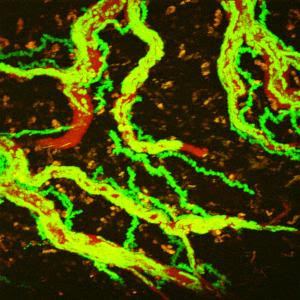 Gianfranco Campalani knows a thing of two about the vascular system. He's one of Northern Ireland's leading heart surgeons. He was diagnosed with multiple sclerosis (MS) in 1986- it left him with a series of problems in his lower body. To read the rest of the article click here on news.bbc.co.uk. Biogen Idec officials say that four more patients have contracted a rare brain infection associated with the company’s blockbuster multiple sclerosis drug, Tysabri. Promising results from placebo-controlled trials of two oral immunosuppressants for relapsing-remitting multiple sclerosis have been published in the New England Journal of Medicine. The first study, FREEDOMS, tested the sphingosine-1-phosphate receptor modulator fingolimod. As previously reported on mims.co.uk, fingolimod significantly reduced the risks of relapse and disability progression during the two-year treatment period. The drug, which is being developed by Novartis, lessens nerve inflammation by effectively ‘trapping' lymphocytes in lymph nodes. OCALA — To hear their stories, one might initially assume Cindy Berkovitz and Judy Heath wouldn’t be physically able to ride a horse. Both women from The Villages have multiple sclerosis and both require the use of an aid — Berkovitz a scooter and Heath a leg brace — to get around. But these women can mount a horse and ride with confidence. Exercise is good for the brains of patients with multiple sclerosis, a new study has found. In the new study, researchers found that highly fit multiple sclerosis patients performed significantly better on tests of cognitive function than similar less fit patients. In addition, MRI scans of the patients showed that the fitter MS patients showed less damage in parts of the brain that show deterioration as a result of the MS , as well as a greater volume of vital grey matter. Read the rest of the article here on dnaindia.com. Finally a drug to really help multiple sclerosis patients. Doctors here in Chicago were the first to test it back in the 1980's. This month the FDA moved to approve it...and doctors say it will help MS patients from this day forward. "Let me see your knee reflexes..Good." It wasn't always that way for Steve Wine. It seemed his function was bad and kept getting worse. Read the rest of the article here on wgntv.com. Scientists have been able to reverse the symptoms of multiple sclerosis using stem cells from people's own body fat. Some have been left free from seizures and better able to walk after the treatment. Researchers said that the results suggest that the "very simple" injection of their own cells can stimulate the regrowth of tissue damaged by the progression of the disease. Read the rest of the article here on telegraph.co.uk. Barry Goudy was diagnosed with multiple sclerosis in May 1995. Over the years the treatment became less effective. Click here to read the rest of the article and to read more on this very informative site. Also this story is very hopeful as well. Tests of the first two oral drugs developed for treating multiple sclerosis show that both cut the frequency of relapses and may slow progression of the disease, but with side effects that could pose a tough decision for patients. Click here for the full article on wsbt.com. MS Awareness Week is March 8 to 14th, 2010. Spread the word! To examine the relationship between measures of visual dysfunction and driving performance in multiple sclerosis ( MS). Read the rest of the article here on PubMed.gov. After California became the first state to allow medical use of marijuana, legislators decided in 1999 to fund research that was supposed to figure out what the drug was good for therapeutically. Now we have an answer: a report issued today says it seems to ease some types of pain, and maybe muscle spasticity from multiple sclerosis. Read the rest of the article here on blogs.wsj.com. One of the best known Seahawks has been keeping a difficult secret for more than a year. 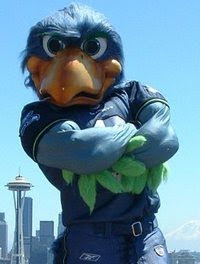 You've seen "Blitz" dance with Blue Thunder and leap from the roof of Quest Field. He roams the stands on game day pumping up the crowd. Read the rest of the article here on mynorthwest.com. Migraines are more common in women with multiple sclerosis (MS) than in those without the disease, new research shows. Read the rest of the article here on businessweek.com. Just wanted to pass on this website as I've found it very informative, helpful and worthy of signing up for the newsletters and/or just reading on her site. 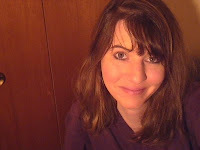 The author, Julie Stachowiak, has MS , has a Phd. 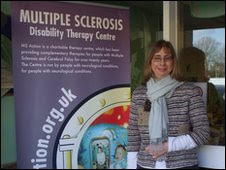 and is extremely well informed on all current things MS related. Whether you are newly diagnosed or have MS for years, I feel certain you will find something that benefits you by reading on her site and signing up for her newsletters which are free. It also can be very helpful to read under the comments section of each article where other people with MS have posted tips that they've found helpful to deal with their symptoms. You can get to her website on about.com by clicking here. A Bayfield, Wisconsin mountain climber with multiple sclerosis has reached the top of the world. Now she's taking part in a world-class event and traveling the country sharing her message of hope and perseverance. She became the first person with MS to conquer Mount Everest , an incredible feat of strength, courage and endurance. Read the rest of the article here on fox21online.com. Multiple sclerosis is a debilitating disease in which the body's immune system attacks the fatty substance surrounding the nerve fibers in the brain and spinal cord. The resulting damage interferes with the transmission of nerve signals between the brain and spinal cord and other parts of the body. In the February 2010 issue of Neurology, investigators are suggesting new diagnostic criteria for multiple sclerosis. Read the rest of the article here on healthandage.com. Multi-center study shows daclizumab reduces disease activity when added to interferon beta. Adding the drug daclizumab to standard treatment with interferon beta may reduce multiple sclerosis disease activity more than interferon beta alone, a new study reports. Previous non-randomized studies found that daclizumab -- a humanized monoclonal antibody--reduced MS disease activity. This new phase 2 study at 51 centers in the United States, Canada, Germany,Italy and Spain included 230 patients with active relapsing MS who were taking interferon beta. Read the full article here on USNews.com. Just passing this along as I think it's worthy of signing up for this newsletter ( and quarterly surveys) since it has a lot of great information for people with MS.
Click here for their latest newsletter. To sign up to receive their updated newsletters and to sign up to take their surveys which help MS research and where you can track your progression, symptoms, etc. click here. In 1964, Jimmie Heuga became one of the first Americans- along with Billy Kidd- to win an Olympic medal in Alpine skiing. 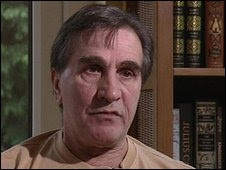 In 1970, at age 26, Heuga was diagnosed with multiple sclerosis. Back then, people with MS were counseled to curtail physical activity, which was thought to exacerbate symptoms. Heuga didn't buy that. He chose to continue an active lifestyle, set goals, live life with passion. Read the rest of the article here on the Washington Post. Albertans suffering from multiple sclerosis are optimistic that new research will shed light on the puzzling neurological disease even as many in the medical community say it's too soon to draw any conclusions about the controversial theory. Read the rest of the article here in the Calgary Herald. Sometimes in this job you just get lucky. You have an elusive and/or dangerous diagnosis just dropped in your lap. Click here for the full article from MedPage Today. NORTH-EAST multiple sclerosis sufferer has defended controversial treatment from a doctor who is facing a General Medical Council (GMC) misconduct hearing. When Carrie Smith heard the news," The good news is, it's not a brain tumor", she laughed. After all, she thought she just had a bad case of the flu. Click here for the full article from The Independent. Women whose mothers consumed high levels of Vitamin D during pregnancy have a lower risk of developing multiple sclerosis, a large observational study confirmed. Washington, DC: US health officials have warned that the multiple sclerosis drug Tysabri (generic name natalizumab) can potentially cause a fatal brain disorder and the risk is greater as patients receive more infusions. Two weeks after European regulators announced the warning, on February 5, 2009 the FDA said the warning was based on 31 confirmed cases (including eight deaths) of progressive multifocal leukoencephalopathy (PML), a brain infection that can be fatal. Still, the FDA website states that the clinical benefits of Tysabri continue to outweigh the potential risks. Tysabri was temporarily withdrawn from the market in 2005 because of its link to PML, but surfaced again in 2006. Since that time about 66,000 people worldwide have been treated with the drug, which is given as a single infusion every four weeks. In September the FDA said the PML rate appeared to increase with the number of infusions but said at the time it was not requiring any changes to the drug's warnings. Tysabri already carries a boxed warning regarding the PML risk. Federal regulators have now posted a safety update to doctors and patients confirming changes made to the label of Tysabri, to warn of the higher risk with long-term use. Federal health officials warned doctors Friday that the risk of a deadly brain inflammation linked to the multiple sclerosis treatment Tysabri increases with use of the drug. Tysabri has been plagued for years by rare cases of progressive multifocal leukoencephalopathy, or PML, which can cause swelling of the brain that is usually fatal. It is mostly seen in patients with immune deficiencies. The biotech drug is marketed by Cambridge, Mass.-based Biogen Idec Inc. and Irish drugmaker Elan Corp. PLC, for multiple sclerosis and Crohn's disease. 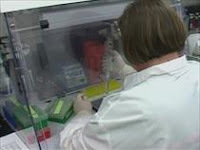 The Food and Drug Administration said in a statement it has confirmed a total of 31 cases of PML since mid-2006. Eight of those patients have died, as of last month, according to the FDA. The agency posted updated labeling information for the drug to its Web site. In the new labeling, FDA notes there have been no reports of PML in patients taking Tysabri for less than 12 months. In patients taking the drug for two to three years the rate of PML is one case per 1,000 patients. The new labeling also warns of a complication of PML, known as Immune Reconstitution Inflammatory Syndrome, that can dramatically damage patients' health even after they have stopped taking Tysabri. The agency urges doctors to monitor patients for signs of inflammation. Tysabri was approved in November 2004 and pulled from the market the next year due to PML reports. It was reintroduced in July 2006, and has been used by 66,000 people worldwide. Shares of Biogen Idec Inc. fell 4 cents Friday to $53.06 in midday trading. Elan dipped 3 cents to $7.11. Stan, Here's updates on Ampyra, Fingolimod & Cladribine!